Northfield High School - System Technologies Inc.
System Technologies installed three buildings in the DPS Northfield campus. In the teaching building STi installed 45 100-inch interactive Epson whiteboards with wireless projection and input plates in each of the classrooms. 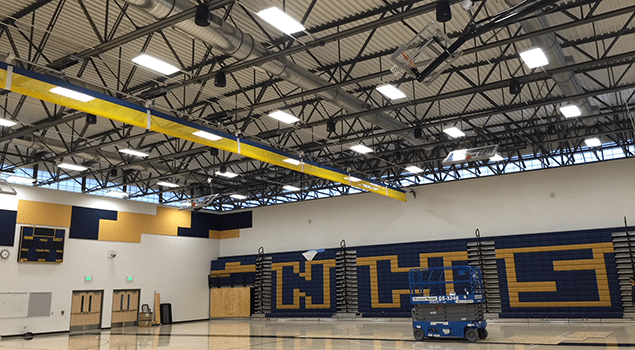 The athletic building received a system that utilized 25 JBL pendant speakers, 4 JBL subwoofers, a JBL mixer, 2 Shure wireless mics with Shure antenna distribution and Crown amplifiers with on board DSP.